Please note: The hypnosis videos on this page contain flashing subliminal imagery and graphics. They are safe, but must not be used in a moving vehicle or if you suffer from epilepsy, migraine or clinical depression. If you are unsure please consult your doctor. The absorbing hypnotic visual imagery combined with the powerful hypnosis audio track create a dynamic state for integrating suggestions and losing weight easily. There are also a number of background echoed affirmations, which pan from left to right across the stereo range. These deeply soothing and potent methods of delivering multiple suggestions simultaneously to the unconscious mind can facilitate positive changes very quickly. 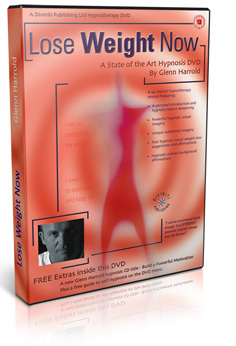 This superb high quality hypnotherapy DVD by international best selling audio hypnotherapist, Glenn Harrold, combines powerful visual and audio hypnotherapy techniques with state of the art digital recording technology. The absorbing hypnotic visual imagery combined with the powerful hypnosis audio track create a dynamic state for integrating suggestions and feeling relaxed easily. This superb high quality subliminal meditation HD video by Glenn Harrold with music by Ali Calderwood. It is a higher perspective meditation which combines powerful visual and audio hypnotherapy techniques, flashing subliminal imagery and state of the art digital recording technology. This video also includes stunning artwork by Daniel Holeman. This guided meditation features Glenn Harrold's highly acclaimed vocal delivery and Ali Calderwood’s beautiful moving background sounds, which work in perfect harmony with Glenn’s vocal. 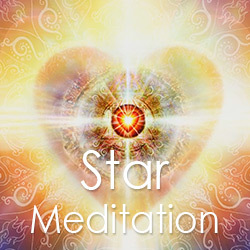 With this powerful but gentle meditation you will float safely up to your star to a place of peace and tranquillity where you can view any problems or issues from a much higher perspective. By escaping from the pressures and distractions of everyday life your mind will feel clearer and peaceful and you will be empowered to find solutions. The absorbing hypnotic visual imagery combined with the powerful meditation audio track create a very receptive state for absorbing suggestions. There are also a number of background echoed affirmations, which pan from left to right across the stereo range. These deeply soothing and potent methods of delivering multiple suggestions simultaneously to the unconscious mind can facilitate positive changes very quickly. This superb high quality subliminal hypnosis video by best selling hypnotherapist Glenn Harrold, combines powerful visual and audio hypnotherapy techniques, flashing subliminal imagery and state of the art digital recording technology. Glenn has sold over 7 million hypnosis CDs and MP3 downloads and is well established as one of the worlds best selling hypnotherapists. On the video Glenn will guide you into a deeply relaxed state of mental and physical relaxation. 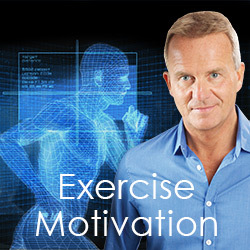 In this very receptive relaxed state you are given a number of post hypnotic and direct suggestions to help you build a powerful desire to exercise and keep fit. When you learn to love exercising on an unconscious level, being very active becomes a lifelong habit. This video will guide you into a hypnotic trance state and then bring you back to full waking consciousness at the end, so it is important to watch and listen to the session in its entirety. You need to create a time and space where you can watch and listen to the full hypnotherapy session from start to finish. It is recommended that you initially watch this video on a daily basis. Take a moment to focus consciously on what exercise you want to do more of before you begin each session. This unique hypnotherapy video gives you a compelling and effective way of helping you to create a powerful desire to become super fit and healthy through regular exercise.